Starting and running a business of any sort is not for the faint of heart. This is even more the case when it comes to running a family business. The distinction between other businesses and a family business is that with a family business, all the proverbial eggs are in one basket. This means that there is very little or no diversity when it comes to the main source of income in the family. 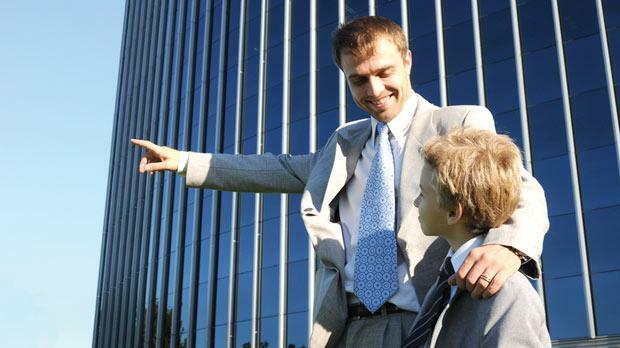 Any family business can have many benefits as well as disadvantages. If the business succeeds, then everyone is usually happy while life for the whole family improves. If the business is, however, not successful, the whole family suffers overall. As with most things, a family business can be in between a phase of doing well or not doing well and may just need to be operational long enough to succeed. For those of you in business, you might be thinking: if you just had the financing to get through this rough patch! If you have a business that is in such a phase, then you know just how helpful having access to credit can be to bridge the gap between when you have cash and when you don’t. Having access to services of credit card companies such as www.gemvisa.co.nz can be very helpful for both the family business as well as household needs. How are credit limits determined for borrowers? Credit limits are set by credit card companies in a variety of ways. There are three ways that most creditors decide: through credit history, credit score or a combination of both. Some cards, though not many, have set credit limits established for a tiered credit card structure. Blue cardholders may only have access to a $1,500 credit limit, while gold cardholders have access to $150,000. If you are going to have to tide your business over financially for a little while, increasing your credit limit is possible. If you already have access to a credit card and you just want to have increased limits, then there are a few considerations that you should have in mind. Increasing the credit limit on your credit card will not only increase the amount of cash that you have access to, but it will also improve your credit score which can be quite beneficial to both your personal and business life, especially when it comes time to visit Liberty Tax at the fiscal year end. Proving that you are financially reliable is paramount. It is very important to realize that if you want to be able to use credit cards the proper way you need to be financially disciplined. You need to pay your credit card bills on time and consistently without fail before you can even begin to talk about a credit card limit increase. Yes, you can increase your limit to $5,000, $8,000 or even more. It is very important that you have a very low credit card utilization. This means that if you have a credit card limit of 10,000 dollars and you get a debt of say 8,000 dollars on the card from a costly sprinkler repair, then it is said that you have high credit utilization. If on the other hand you have a debt of 1,000 dollars on the same card with a 10,000 dollar limit, then you have a low credit card utilization. If you have a credit utilization of up to 30%, this is considered the normal range to get a credit card limit increase. If it is lower, at say 10%, this may increase your chances of getting a credit card increase. What this means in actual terms is that when you use low interest credit cards, you should endeavor to not only pay the minimum amount due every month, but also replenish the balance on the card so that you always have a low credit card utilization. This is not only good financial discipline for your personal and business needs, but it will also give you access to credit any time you need it. While looking to get your credit card limit raised, of course you are going to want to lower your credit utilization overall. But what if something comes up that you just cannot avoid and do not have the money for it sitting with some holding company? Well, there is a trick that you can use that will allow you to use your credit card and still have a shot at getting your credit limit increased. Instead of paying your bill just once a month, try making several payments each billing cycle. This trick will help make it more likely that your utilization percentage will be on the lower end whenever the credit score reporting agencies take an assessment of your accounts. This is a great practice, even if you do not use your credit card and are only trying to pay off a balance. Making weekly or bi-weekly payments to your credit card is an excellent way to raise your credit limit, and it is also just an excellent habit to keep your financial health at its best.